Free pickup and delivery for orders above $40*. *Minimum order varies with location. Dedicated laundry facility to ensure your curtains are handled professionally. 20% off carpet dry cleaning orders for a limited time only. Planning to get the house cleaned? Don’t forget the carpets and rugs! Make the most of our carpet cleaning service in Singapore while you’re at it and get a 20% discount on the regular carpet cleaning prices at Keep Calm and Laundry On! A clean carpet is not only more floor area for you to enjoy but also a step towards fresher indoor air and a cleaner surrounding. So why wait? Get the bugs, dirt and stains off your carpet and let us help you make your carpet look as good as new without the bother of a huge bill. Regular carpet dry cleaning prevents build up of allergens and bacteria, prolongs their lifespan and protects indoor air quality. Freshen them up so that your homes are a haven for you and your loved ones, not bugs! With a dedicated facility and our experienced team of carpet dry-cleaning experts, we'll ensure your carpets are dry cleaned thoroughly with the appropriate cleaning method. Contact us today for a non-obligatory quote! While you can vacuum-clean your carpets every week or so, we recommend getting them deep-cleaned by professionals at least twice a year to keep out bacteria and allergens, especially if you have children at home. If you have pets, then getting the carpet cleaned is a necessity because of inadvertent shedding. Maintenance of light coloured carpets can be stressful, as they begin to darken from dust and dirt. Not cleaning them regularly might even result in a permanent stain! 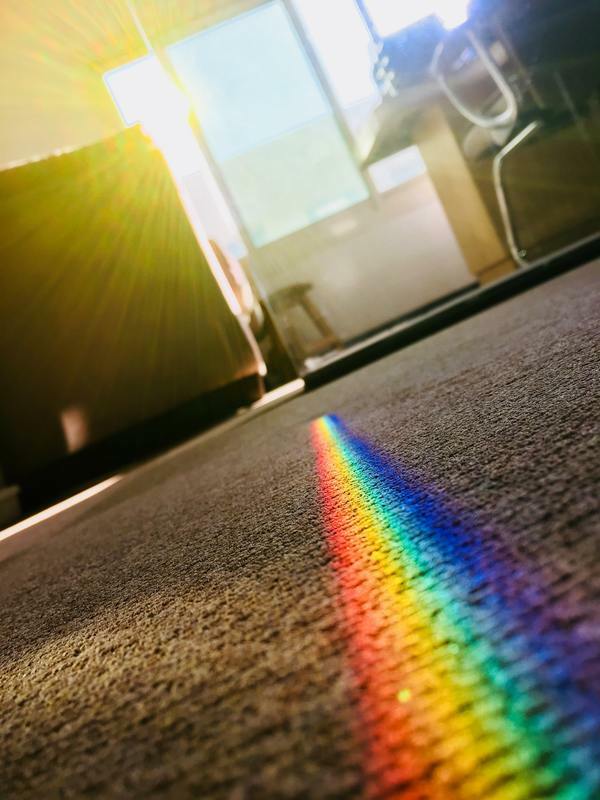 Regular cleaning of the carpets can save you the trouble of being constantly on the lookout for spots and stains, and is more affordable than spending money on buying a new one. It is our aim to make your carpet cleaning as hassle-free for you as possible! Our cleaning technology deep cleans carpets without leaving chemical residues, removes spots and stains effectively, and refreshes the colour and fluffiness of carpets. Our systematic extraction and sanitisation process eliminates bacteria, fungi and micro-organisms in the carpet and delays re-infestation of dust mites. The result is cleaner, fresher, more hygienic carpets for you and your family to lounge around on! Our team of experienced professionals ensure that you receive prompt services and that your requirements are acknowledged. We measure your carpet on-site so you’ll know exactly how much you are paying for. Our free pick-up and delivery service saves you the trouble of transporting your carpet to and from our facility. Want a hassle-free and effective way to clean your carpets? Keep Calm and Laundry On has got you covered! AFTER: Repaired carpet to its original state and gave it a new lease of life! While carpets beautify our homes and provide a cozy environment to lounge around in, they are also breeding grounds for bacteria, dust mites and allergens. Carpets trap airborne pollutants and affect indoor air quality. This may cause allergies in young children or worsen the conditions of people with respiratory health issues. Regular cleaning of carpets prevents the build up of bacteria and allergens, and prolongs their life span. Spots and stains can attract more soiling, and should be removed promptly so that they don’t become permanent. Clean, well-maintained carpets speak volume about the overall cleanliness of your home and office. Having spent money on your carpets and rugs, you would want to protect your investment too! How much does it cost to dry clean a carpet? At Keep Calm and Laundry On, we aim to offer quality and value-for-money service. Our carpet cleaning rates are affordable, and our customers trust us to maintain their carpets regularly. Carpets and rugs are charged on a per square foot basis, and for a limited time, we are offering a huge 20% discount on carpet cleaning. ​Contact us today for a non-obligatory quote! ​Information sent to us in this form will be dealt with as described in our Data Protection Statement.